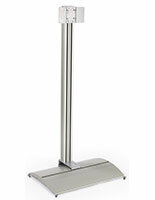 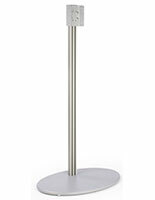 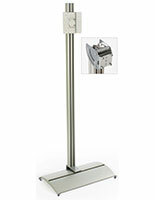 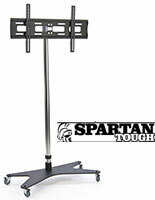 This silver flat panel mount, also known as a plasma screen holder, is typically used at trade shows and retail venues to promote goods and services. 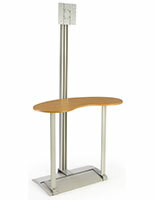 A wide base keeps this unit stable during presentations. 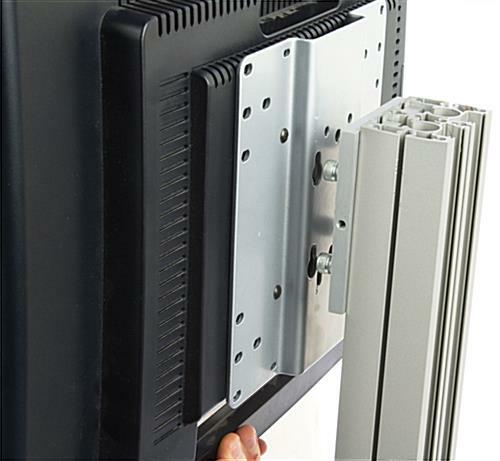 This flat panel mount that is an LCD rack w/ a VESA bracket fits most brands of TV’s up to 70 lbs. 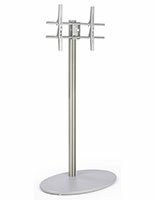 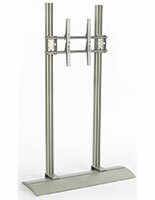 Television stands such as these are constructed of rust-proof aluminum. 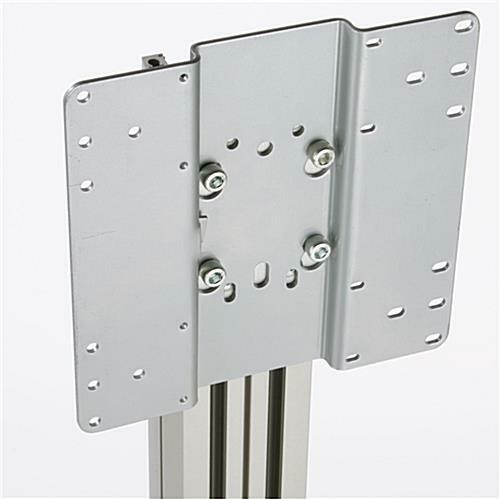 This mount system ships with hardware included, though additional screws are easy to purchase at a local store. 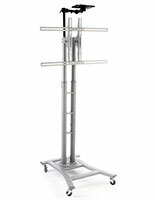 A hollow pillar hides unsightly cables, making for a professional display area. 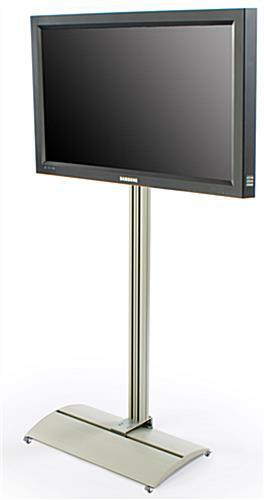 30.0" x 74.7" x 16.5"